The Drink Exchange – Turning bars into stock markets all over the world! 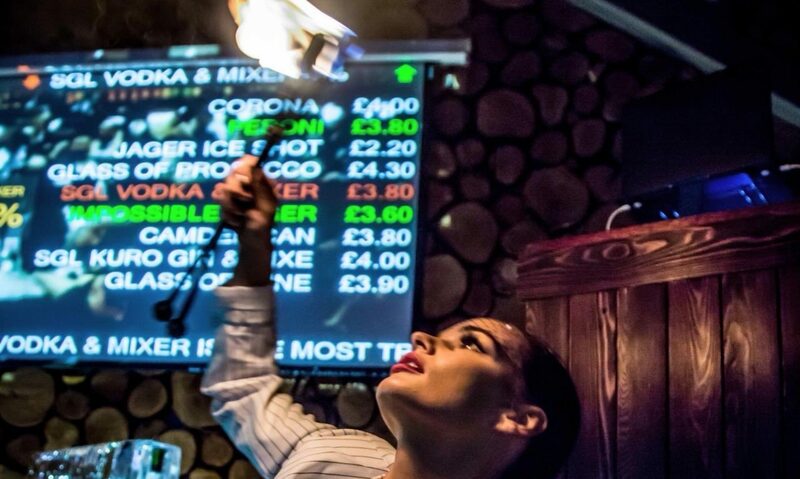 The Drink Exchange turns a bar into a stock market for a night with a selection of food and drinks prices changing every 5 minutes based upon what customers are buying – and LIVE trading prices displayed on TV’s! Generally run as a weekly event or as a happy hour tool, it’s great interactive fun for customers whilst being a hugely effective sales driving tool (increasing sales on average by 40%). Get in touch today to discuss implementation in your bar!